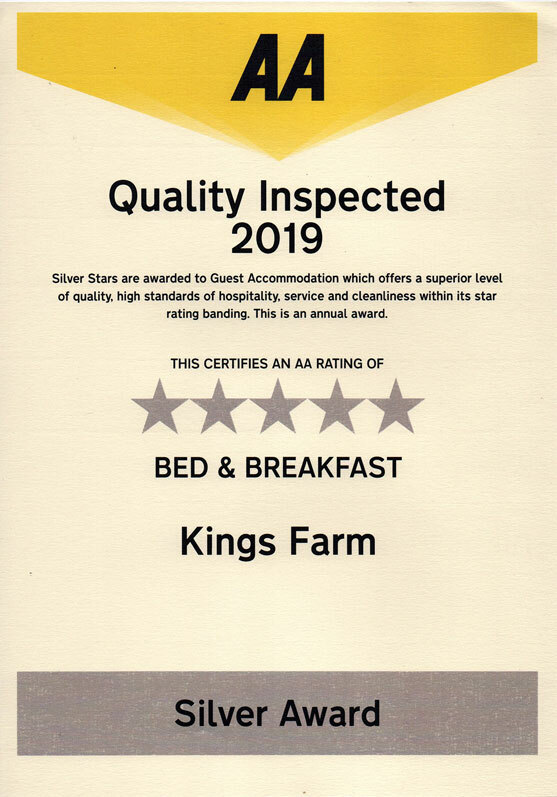 Kings Farm is a luxury AA appointed 5 star bed and breakfast accommodation in the heart of Exmoor national park. It has an enviable position, being situated alongside the beautiful river Barle, in Exmoors' most popular village of Withypool. The country house is found at the end of a tree-lined drive, surrounded by its own land, facing south across beautifully landscaped gardens. It is an idyllic secluded retreat offering peace and tranquility.. We, Ruth and Peter have been providing bed and breakfast on Exmoor for over 14 years. It is a privilege to be able to share our beautiful home and surrounding Exmoor countryside with our discerning guests, who in turn, can expect a high level of service and commitment from us. 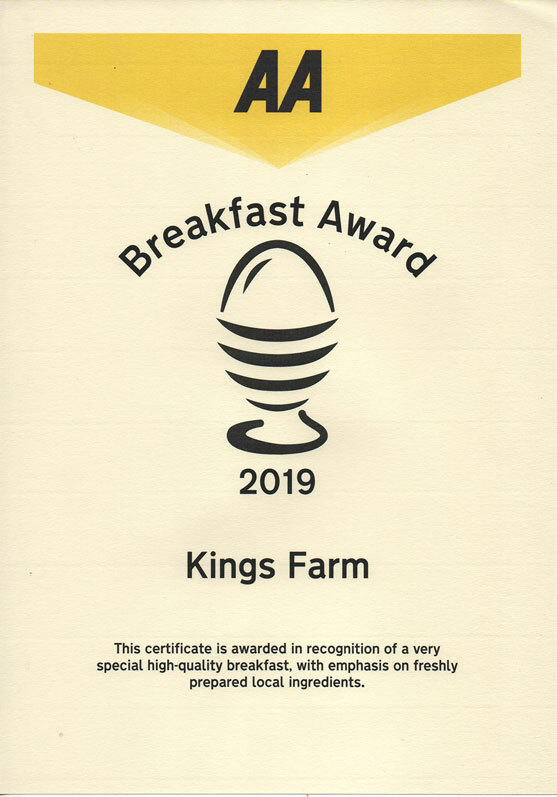 Take an aerial trip around Kings Farm by clicking here >. Please look around our website and contact us to find out when we have vacancies. As we have only 3 rooms and are often fully booked we would advise you to get in touch as early as possible. Thank you for visiting our website and we look forward to welcoming you to our home on Exmoor.